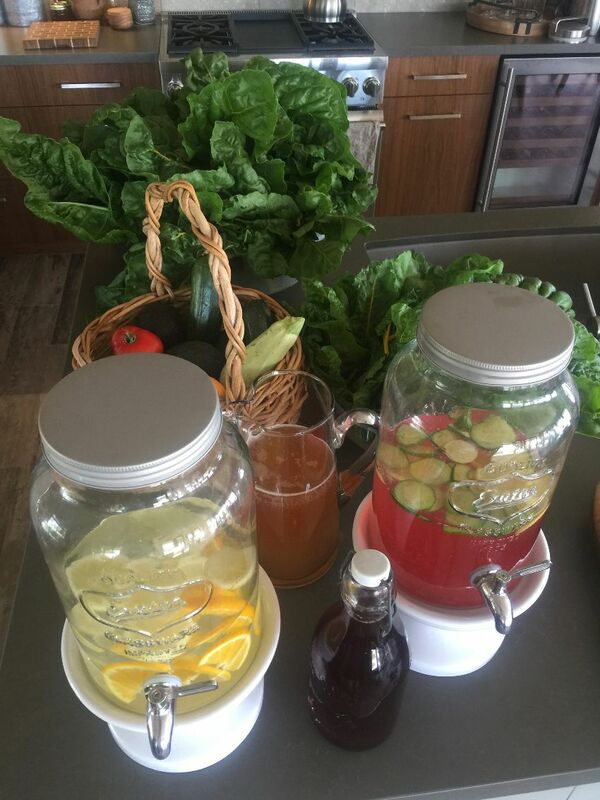 This property is well suited and available to professionals seeking a location to host Health and Wellness Retreats. Visitors to the site are instantly transported to a place of peace and tranquility. 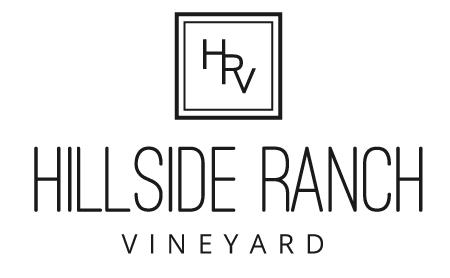 Yoga, Pilates and Meditation classes can be held simultaneously at the multiple sites. 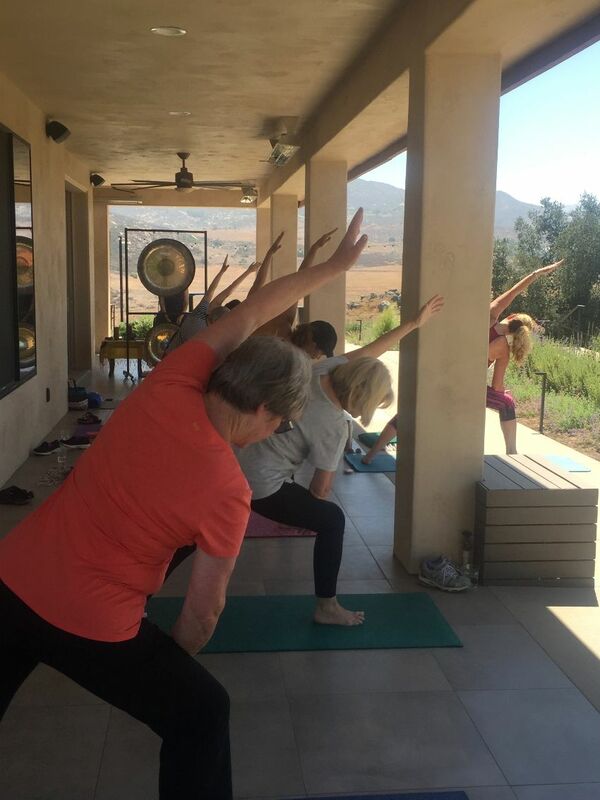 Additional retreat activities can include hiking on over 50 acres of ranch property through the vineyards, tree lined creeks, horse pastures and rocky hills, walks through manicured gardens, swimming in the heated pool or relaxing in the vineyard house jacuzzi. See “accommodations” and “additional property features” for overnight and sports related options. 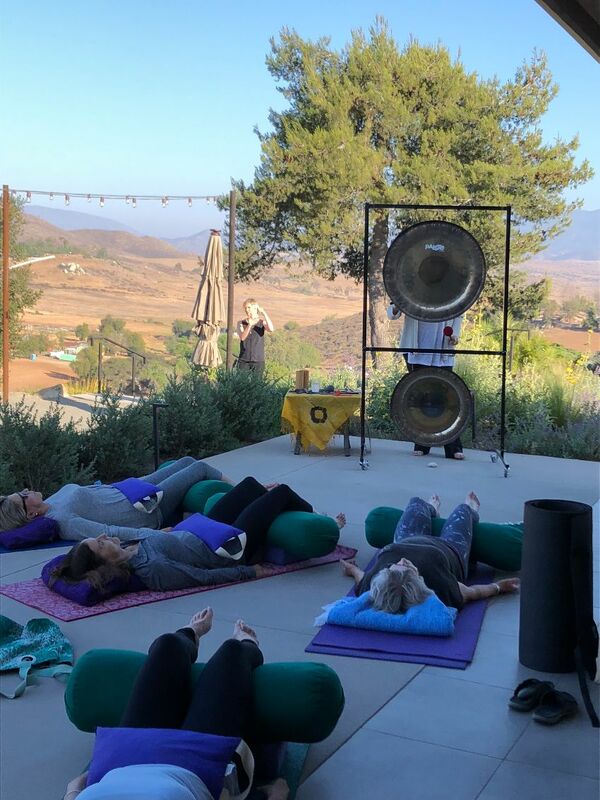 Hillside Ranch Vineyard hosted it’s first Wellness Retreat “Yoga and Vine” celebrating the Summer Solstice. 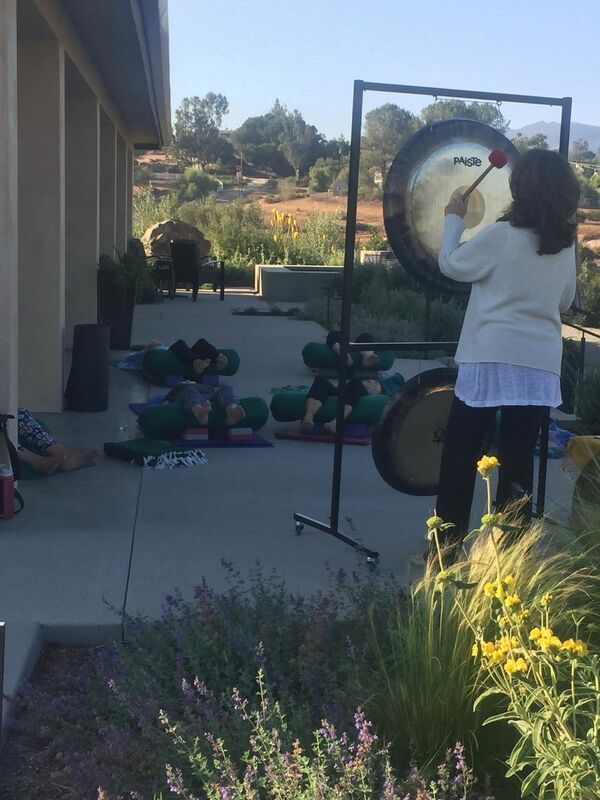 Mary Sanders led the yoga sessions and Teri Wilder led musical meditation with her Gongs. 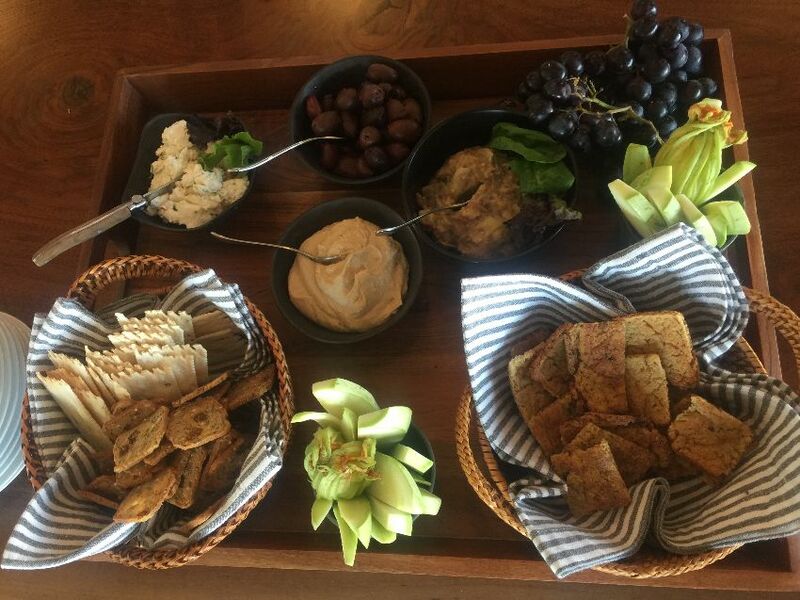 Later that evening, guests were treated to gourmet healthy appetizers, dinner and dessert, prepared by personal chef Alison Borel and vineyard owner Donna Hendrix. Each course was paired with local wines from Dulzura Winery. 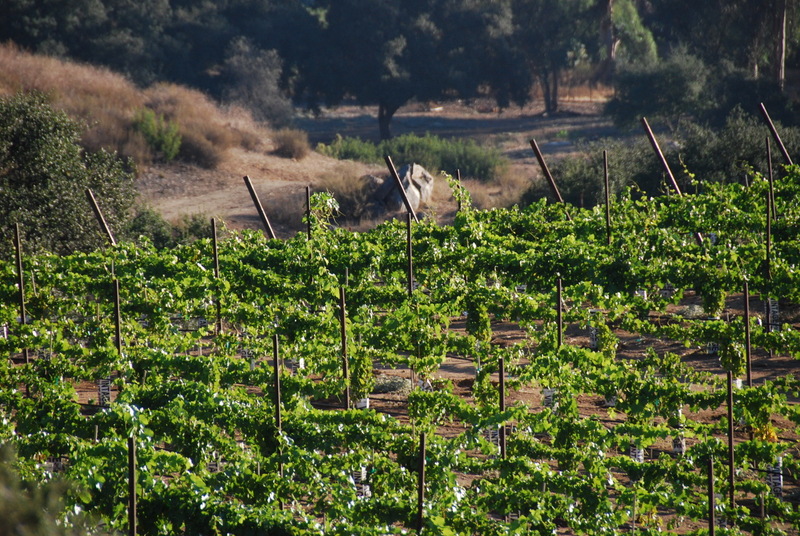 For information please contact us at info@hillsideranchvineyard.com. 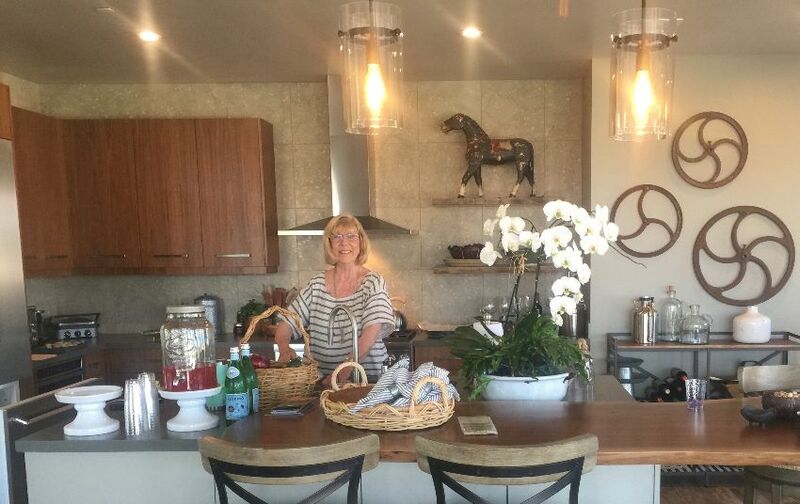 Are you interested in attending or hosting a retreat at Hillside Ranch?